Back to school sales are in full swing. This is one of my favorite shopping seasons. There are so many supplies you can stock up on to use throughout the year to help decorate your home. That's right I said decorate, and I am not just talking about all the brightly colored bedding they have out for college kids now. The craft stores have bulk packs of canvases, paint brushes, and other art supplies on sale for all the art students going back to school. 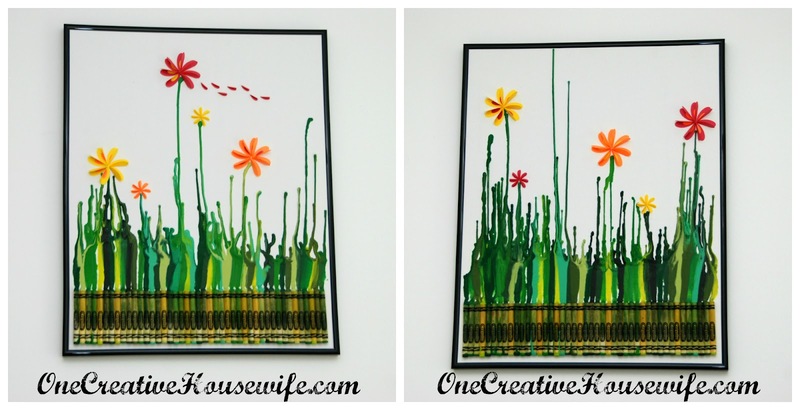 I usually pick up a few different sized packs of canvases and use them all year for projects around the house. 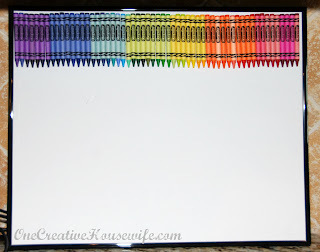 Another thing I always stock up on are crayons. 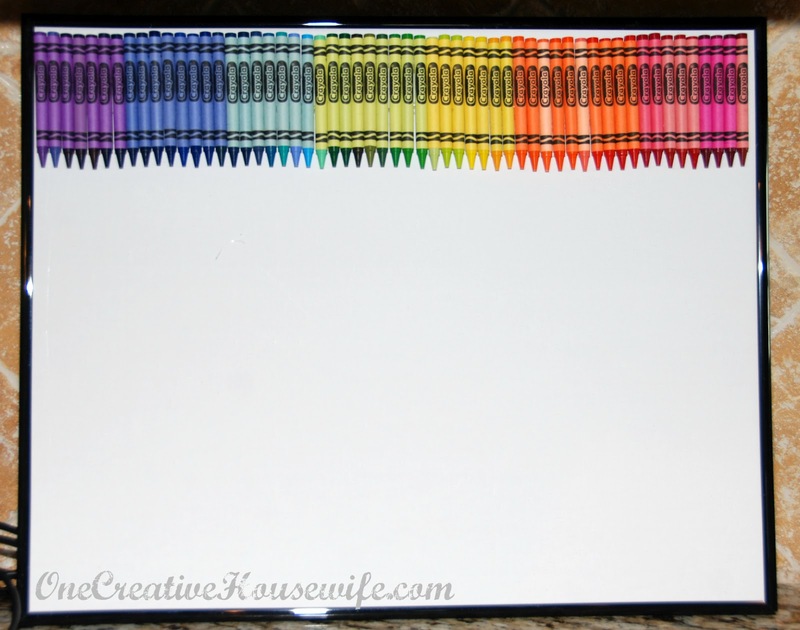 There are so many projects besides coloring you can do with crayons. 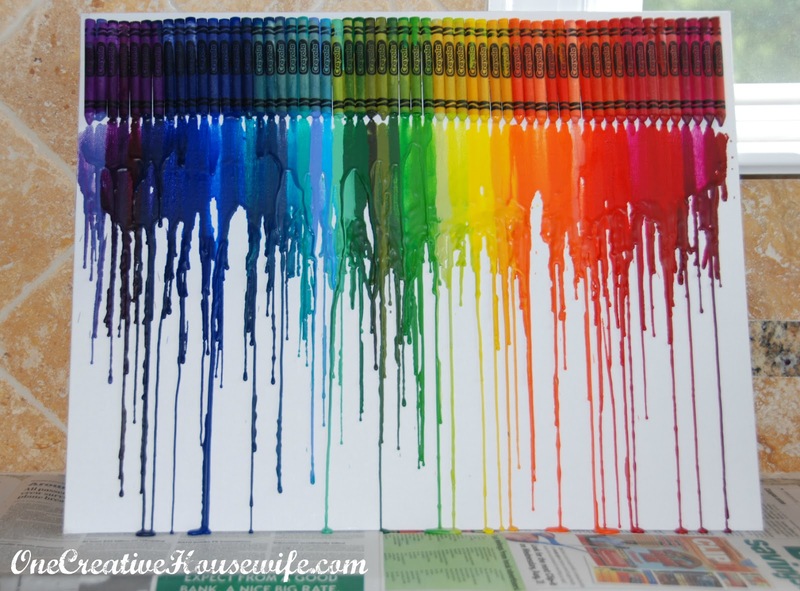 Melting crayons almost always ends in something neat. 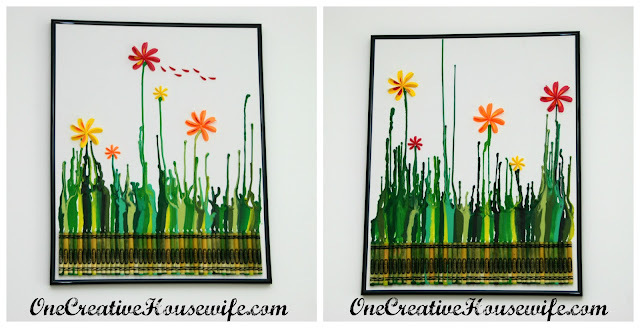 I made these three crayon art pieces for our playroom. 3. Remove the canvas from the frame. 5. 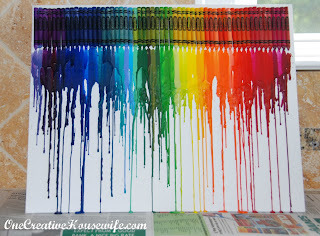 Using a heat gun melt the crayons. 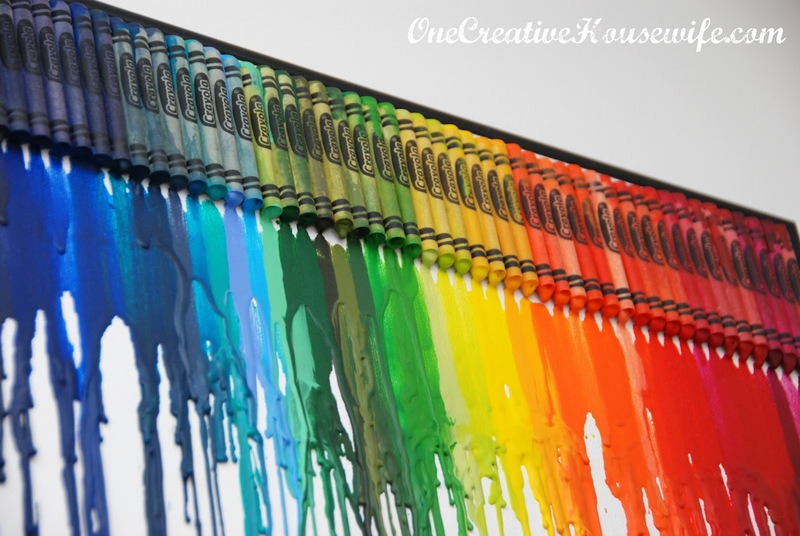 You will be able to tell when the wax is going to run quickly and when to move your heat gun because the crayon wrapper will begin to look wet. I made several passes with the heat gun allowing the the wax that had run to set up a little before going back and melting it more. This allowed me to control the amount of blending at the top and allowed me to have some short and long wax runs. It also gave me layers of wax, which I think adds a neat texture to it. 6. 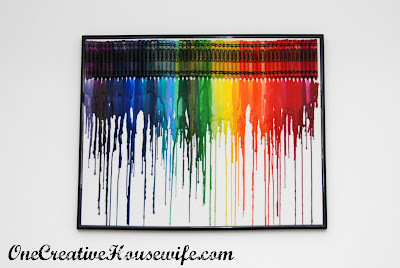 After the crayons have cooled, you can break off any wax globs at the bottom and place the canvas back in its frame. I made the two with flowers the same way as above. I just flipped them upside down when I was done. I made the cardstock flower petals, by 2 different sized hearts using my Silhouette. I then folded all the hearts in half and glued the smaller hearts on the inside the larger hearts. Once I decided how I was going to arrange the hearts, I then attached them to the canvas with an Elmer's Glue Stick. 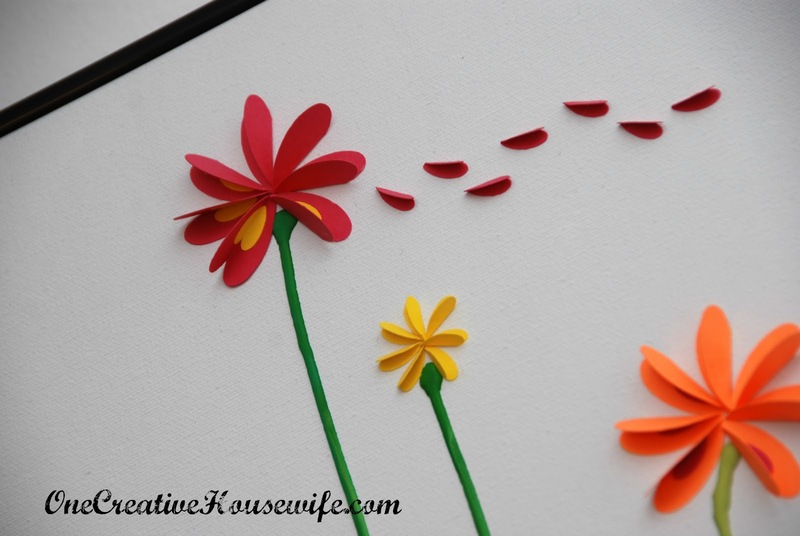 I also attached some of the small hearts by themselves to make smaller flowers and petals. 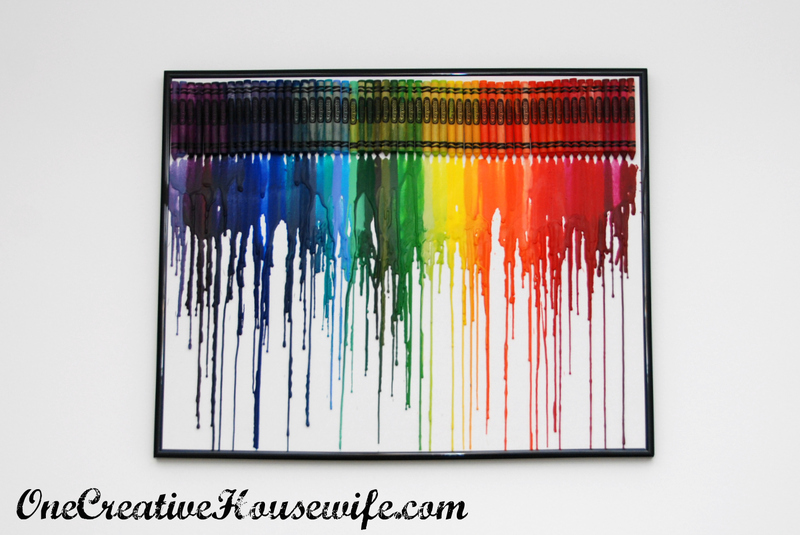 The kids had fun helping me arrange the crayons and loved watching them melt, so be sure to include your little ones when making these! 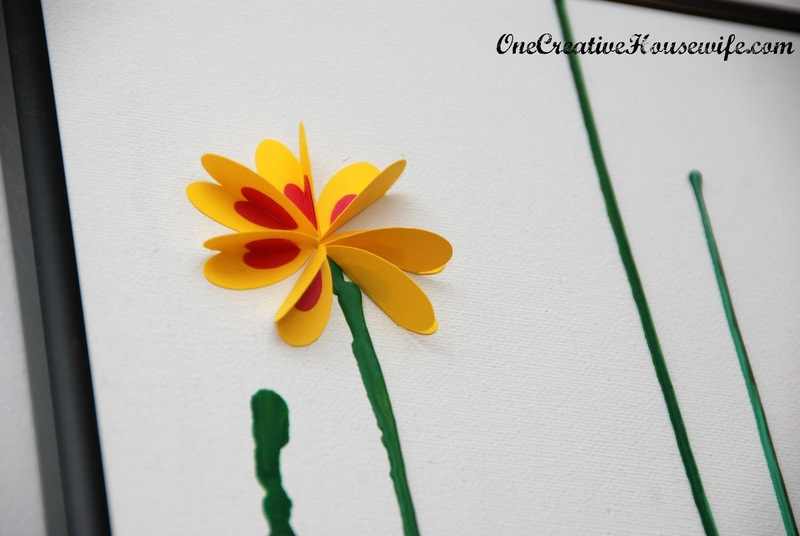 I featured you this morning on today's link party. Love the blowing pedals!